Walter Isaacson's biography of Steve Jobs is based on more than forty interviews with Jobs conducted during the last two years of his life. (Jobs died of cancer last month.) 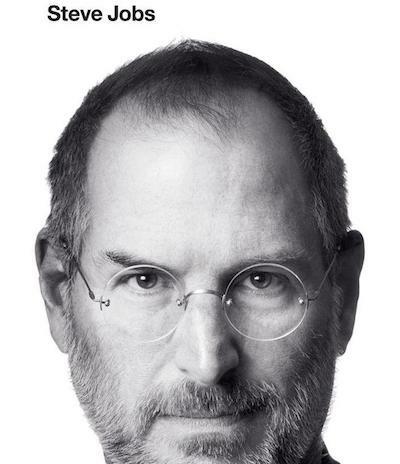 Jobs is generally regarded as the most influential business leader of his generation, a perfectionist and a visionary, the head of the world's largest company. Isaacson's biography confirms this view, though also presents Jobs as an obsessive, bad-tempered control freak. In addition to regular tirades at Apple employees, Jobs also rants to Isaacson that Google's Android software copied the iPhone's operating system: "I will spend my last dying breath if I need to, and I will spend every penny of Apple's $40 billion in the bank, to right this wrong. I'm going to destroy Android, because it's a stolen product. I'm willing to go thermonuclear war on this". Unfortunately, Isaacson doesn't interject to remind Jobs that Apple's graphical user interface and mouse were both copied from research by Xerox. The first Apple desktop computers now seem like antiques; to the current generation, Jobs will be remembered instead for the iMac, iPod, iPhone, and iPad. Even the first iMac, a desktop computer with a CRT screen, looks like a relic today when compared with Apple's recent devices. But the Macintosh and iMac were both revolutionary: the Macintosh was the first intuitive, user-friendly computer, and the iMac was arguably the first computer to become a design icon. The iMac and its successors, the G4 (on which I'm writing this blog post) and G5, were designed by Jony Ive. He also designed the aluminium MacBook Pro and MacBook Air laptops, and the various portable iGadgets. Jobs was the perfectionist who supervised the development of each product, though Ive deserves the credit for the designs themselves. He is probably the most important industrial designer since Dieter Rams, who produced a line of similarly stylish devices for Braun in the 1960s. Isaacson is ultimately in awe of Jobs. He makes no mention of the basic functions missing from the original iPhone. He lavishes excessive praise on even tangential Apple projects: Pixar is a "miracle", iTunes "saved the music industry", and Apple stores "reinvented the role of a store in defining a brand". He does address concerns about Apple's lack of openness, though he explicitly sides with Jobs against the critics: "Sometimes it's nice to be in the hands of a control freak".